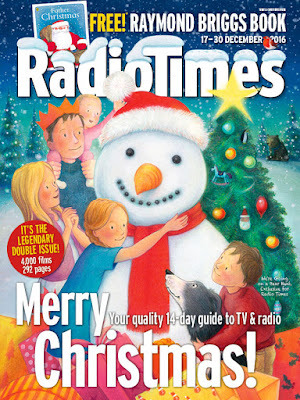 Saying you have done something week in, week out, for twenty years, is usually restricted to essential tasks, such as breathing, eating and sleeping - and yet, when I bought the latest Christmas issue last Monday, I have now bought the “Radio Times” every week, without fail, for twenty years. In an online age, you would have thought that having to go somewhere to buy a magazine, to tell you what programmes are on the television and radio, would be something that died out a while ago, but there was not much of an internet back in 1996, and broadcasters were only starting to open their own websites. As recently as 1991, programme listings were actually regulated in the UK: BBC TV and radio was covered by the self-styled “RT,” owned and published by the BBC, while ITV, Channel 4 and the rest were in the “TV Times” - if you wanted the full picture, you had to buy both magazines. 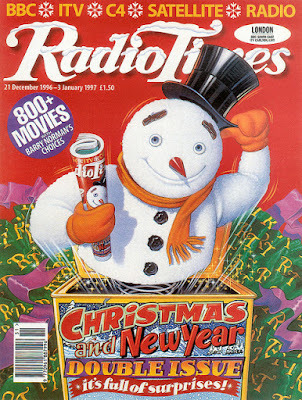 For this reason, the “RT” sold its advertising for more than any other magazine, and continues to do in three quarters of a million copies every week. These days, you can get all the details you need just by a search on your phone, provided you know what you want to search for. Sometimes, you do just need something to cut through the swathes of information, giving you all the important stuff, and provide pointers for where to go if you do want more – ten pages of TV listings each day, another two for radio, and reams of further features might just about do that job, and it certainly does for me. However, what I have recognised more recently is how the interviews and features from the “RT” can often become news themselves. 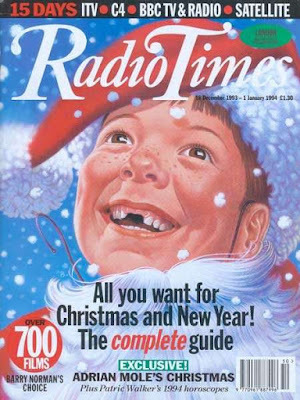 This appears to be a combination of newspapers and websites picking nuggets of information from them, and the influence of Ben Preston, the magazine’s editor since 2009, two years before the BBC sold its magazine division – “he is a cyclist,” claims Wikipedia. Therefore, the past week’s news stories about how the Prime Minister’s Christian faith is important at Christmas time comes not from a big interview in a broadsheet newspaper, or from having talked with Andrew Marr or Robert Peston, but from her having answered the “View From My Sofa” questionnaire on the back page. Meanwhile, Eric Idle’s remarks on his fellow Python Terry Jones’s health came from a “RT” interview the previous week. However, which magazine caused Robert De Niro to walk out of an interview in September 2015, amid “negative inferences” about commercialism in his film festival, and about acting on auto-pilot? It is necessary to keep your product fresh – in the United States, “TV Guide” cut down on the listings, and increased the features. Thankfully, the “RT” has kept both, and has continued to make it a success, maintaining the reputation it inherited from when it was part of the BBC. Making the news keeps it in your mind, and it sticks around to help you pick your night’s viewing.